When you select an attorney to handle your personal injury, workers' compensation, or bankruptcy case, you may wonder whether you have a good chance of success. You may assume that a large firm has more resources to devote to your case, which could result in a better outcome for you. However, just the opposite may be true. Large firms may be handling hundreds of cases at the same time, which means that your case is in the hands of someone who may be overburdened. In contrast, obtaining services from a smaller firm such as the Law Offices of Kevin Cortright ensures that your personal injury, workers compensation, or bankruptcy case will be handled by the person whose name is on the door, not an overburdened junior attorney. Kevin Cortright is the sole attorney in his office, which is also staffed with paralegals and other staff members who file your case, prepare needed paperwork when necessary, and handle other tasks. When you come to this firm, you will benefit from the efficiency of the support personnel, but it will be Kevin Cortright himself who will personally handle your case. He will be the one who will meet with you in your free, initial consultation and the attorney who will argue in your behalf at the settlement table or before the court. When you have questions about the process, it will be Kevin himself who will address your concerns. When you work with the Law Offices of Kevin Cortright, you are getting years of experience directed toward your legal matter. 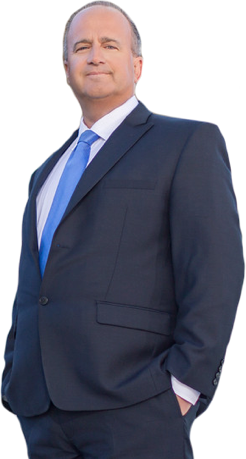 Before Cortright was licensed as a lawyer in the State of California, he worked in insurance defense and as a law clerk and managing partner in another firm that dealt with personal injury and bankruptcy. He has seen all sides of the law, which is an advantage to you when he works on your case. For a free consultation on matters involving personal injury, workers' compensation, or bankruptcy, contact the Law Offices of Kevin Cortright at (951) 677-8064 or (800) 392 2717 or via our online contact form to schedule an appointment.